They’re not your Harry Potter or Twilight series that make it to the bestsellers’ list through massive promotions. They bypass large publishing houses, and don’t rely on major bookstores. But they — indie books — have found their way into many readers’ hands — and hearts. Following their own creative paths, indie — or independent — books offer more than just cookie-cutter genres, each with a voice of their own. Yup, if you’ve been paying enough attention lately, you might realize that today is the era of indie books reshaping our reading habits, and bringing out ideas that were once confined to silence. Ideas that were once considered heretical or dangerous — revolving around social injustice, history, politics and religion — have found a way to flourish through the rising popularity of indie books. “With the Internet era allowing people to easily promote their own books through blogs and websites, indie publications have become popular around the world,” says Retnadi Nur’aini, co-owner of Halaman Moeka, a company providing self-publishing services to indie authors. 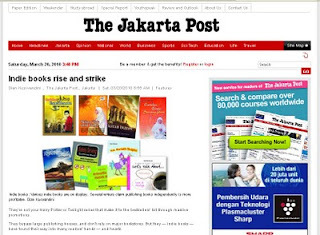 “In Indonesia, we’re just starting to catch up [with the Indie book publishing trend],” she adds. Some of us might already be familiar with indie music or movies, which have stayed away from big record labels or large production companies. Abiding by the same principle, indie book writers avoid big corporations — in this case, giant publishing houses. Over the years, as we might have noticed, large publishers have tended to limit new writers’ access to the publishing scene. But now that writers have access to the indie book scene, freedom of writing is no longer an issue — even when book banning is still rife in Indonesia. “That’s why we use the term ‘indie’ or ‘independent’ in the first place. We play with our own rules,” she adds. Having the ball in their own hands, Retnadi says, wordaholics like her seek greater creative control on what they want to write about and how they will package their ideas. And yes, this is very much about the themes they want to bring to the public. So, from what she suggests, there are two key points: Creativity and idealism. Under the spirit of idealism, indie books have made it possible for those from the grass roots to convey their ideas. Those who have links to the outlawed Indonesian Communist Party (PKI), for example, have seen this kind of books as a medium to balance the history as they clarify the role of the PKI in the 1965 coup attempt. “We know how history tends to be written by the winners,” says Svetlana Dayani, the daughter of Njoto, one of late PKI leaders. “But indie books have provided a space for ‘the losers’ to balance history through their own version of the stories,” she adds. Svetlana has been involved with indie publisher Sastra Pembebasan, which has released a number of social-history and literary books. In Tragedi Kemanusiaan 1965-2005 (The Humanity Tragedy from 1965-2005), for instance, Svetlana and her friends recounted their stories of the 1965 bloodbath, for which the PKI was held responsible. “It’s through these [indie] books we can let other people know about the many untold stories of the victims, who were never mentioned in school textbooks,” Svetlana says. Creativity is the next key ingredient behind the success of Indie books. With authors playing with their own rules, this means they are free to be as creative as they want — from picking the cover designs and fonts, to the page layout and type of paper. They can also chose how many copies they wish to print. In the end, “It all comes down to our personal taste,” Retnadi says. Going indie also offers other advantages — it can allow writers to become their own brands. With the help of popular social media tools like Facebook, Twitter and Multiply, as well as their own websites and online book stores, authors can create their own online presence and reach readers around the world. This way, they can also build their own fan-bases. Motivators like Mario Teguh, Andri Wongso and Ary Ginanjar, Muslim cleric Abdullah Gymnastiar (Aa Gym) and writers like Dewi “Dee” Lestari and Putu Oka Sukanta are just a few of the many individuals who have successfully gone down the indie road with their writings and secured a base of loyal readers. So, in terms of ego, indie books can certainly bring their writers satisfaction. But what about money? Well, both Svetlana and Retnadi say that going indie means more profits for the writer. Retnadi uses her book, Let’s Talk About… as an example. For Rp 18 million, she was able to print 3,000 copies of the book. She also spent around Rp 3 million for the layout, design, the International Standard Book Number (ISBN) and promotional activities. 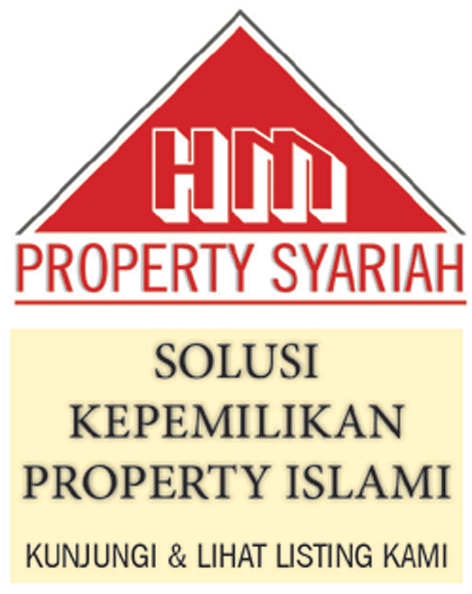 Her books sells for Rp 32,000 per copy. Fifty five percent of her earnings go to her distributor who has placed her work in bookstores across the country. So, from each copy sold, Retnadi earns 45 percent, or Rp 14,400. Imagine if she was able to sell 3,000 copies — she would earn Rp 43 million — twice the money she spent for printing and all. If she was with a big publisher, of course she wouldn’t have to invest any money at all, but, “I would only get 10 percent of my book’s price in royalties,” she says. Svetlana shares similar view on how going indie is more profitable. She says publishing her books independently has given her more options distributing them. Besides working with a distributor, she also does some distribution herself. “Personally, I prefer to distribute my books in small bookstores,” she says. “While large bookstores will ask for as much as 50 percent from your book’s price, small bookstores might only ask for around 20 percent — so you can make more money,” she adds. So, at this point, indie books might sound like the way to go — nurturing people’s creativity, supporting their idealism and allowing them to earn more profits. What about the negatives? Well, there are a few, as Indie author Qusthan Abqary highlights. Retnadi also shares her view on the control issue, but from a different angle. But of course, there’s always room for improvement — and Retnadi calls the indie book scene a community where indie writers can gather, exchange ideas and learn from each other’s mistakes. I have a manuscript almost get published but then this big giant publisher said my writing style was too 'provocative' and 'dangerous'. I've been thinking about self-publishing but don't have the money yet so I'd better save up. Best of luck to your publishing house! I might need your service one day.